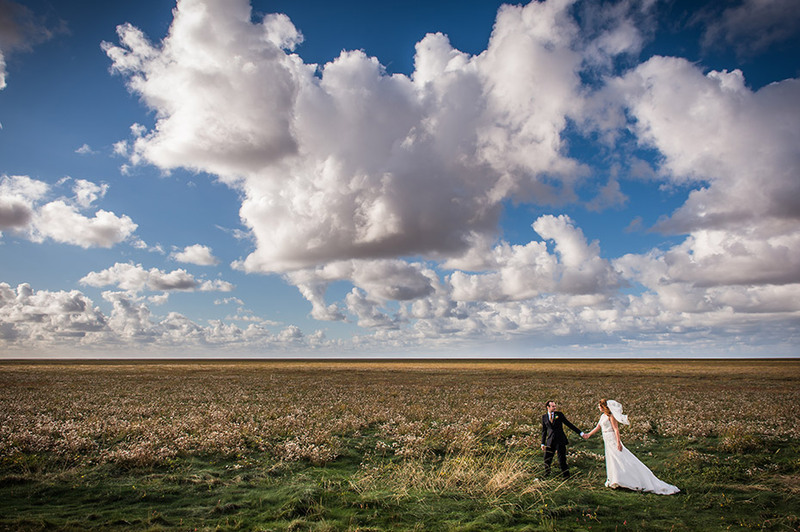 Meols Hall in Southport is where Jenny & Karl held their wedding in October 2014 & I was privileged to be attending as their wedding photographer. The historic manor house which dates back to 12th Century is set in 100 acres of private parkland near Churchtown Village. Making this one of the oldest settlements in Lancashire and boasts a unique atmosphere and a cosy ambience in the candlelit Tithe Barn. It was such a romantic day. Jenny & Karl were both relatively calm and relaxed getting ready in the morning. Jenny enjoyed being pampered, with her hair done by Garlandz in Maghull and spending the morning with her Mum, Dad and Brother. While Karl spent the morning with his family and best man. Jenny was so excited she said she had butterflies all morning. But, little did I know that they both wrote letters to each other to open when they woke up. Jenny said is was already very emotional for them both. Jenny said the first dress she ever tried on was from Brides of Birkdale. She fell in love with it. Jenny’s shoes to complement her gorgeous dress were from Faith and her veil and tiara she found on the internet. With the help from Jenny’s mum and the girls from A Touch of Elegance, they helped dress the venue and make the table decorations. Their stunning wedding flowers were provided by Hartleys Nurseries in Maghull. Jenny’s Nan and friend helped with a special cake for Karl, which was made into a plane. He’s a pilot! The most memorable part of the day Jenny said that all she wanted to do was was give Karl a kid and a hug. So during the exchanging of rings in the ceremony, Jenny held Karls hand and gave it a little kiss, which then Karl did the same. The whole room felt the romance and let out an ‘Awwww’. Jenny was beaming from ear to ear. Jenny wanted to give a special mention to the men who were brave enough to give the speeches. She knew they were nervous , but everyone agreed they did a fantastic job, even though it may have had something to do with the drinking beforehand! Nothing like a bit of Dutch courage. During Jenny’s journey to Meols Hall, Regal Wedding Cars helped make the journey special with some fiz. Then after the ceremony waited around to take us all for a special set of wedding photographs at Southport beach. As the evening drew near, we decided to go outside and have photographs taken in front of the full moon. Plus, this was a perfect opportunity for Jenny and Karl to have a moment to themselves at take it all in. With the lead upto the wedding, they were worried about the weather forecasting rain. Jenny said she was prepared for some soggy dresses and damp shoes. The sun was shining and they both felt like it was their family members, who were no longer with them, watching over them. I really enjoyed capturing their special moments and being part of their special day.